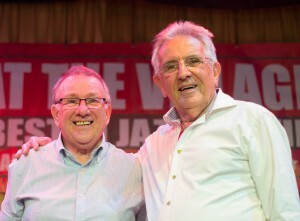 Jazz at the Village – Jazz at the Village in Felpham – Fantastic monthly concerts! Because of the popularity of “Jazz at the Village” seats will be reserved at the time of booking but only guaranteed on receipt of payment. You can pre-book as far ahead as you choose. To book please contact Sue or Pat Tel: or use our Contact Form. e-mail bookings will be acknowledged. Seats will generally be allocated in order of booking but if you have a preference please Tell us and we will do our best to accommodate your requirement. Are you looking to arrange quality Jazz and Swing musical entertainment for that special occasion, a wedding reception, birthday celebration, party, barbecue or other, then perhaps we can help. Call or e-mail us at “Jazz at the Village” with your enquiry. We have access to a host of top, professional musicians enabling us to, discuss, quote and arrange your requirements. Tel: or or use our Contact Form. To receive information about “Jazz at the Village” by e-mail and if you have not already done so, please give us, your name and e-mail address using this form, or check out our website www.jazzatthevillage.org.uk.